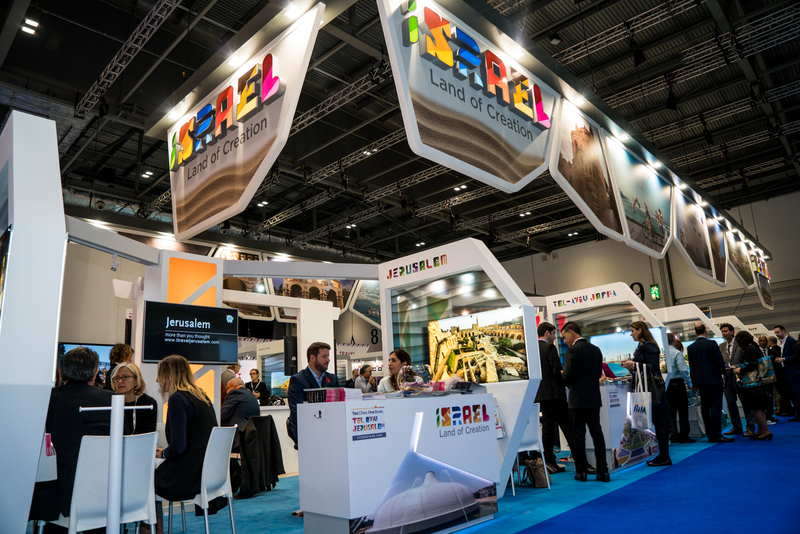 A number of organizations in the Israel tourism industry exhibited at the 37th WTM in London, which took place on 6-8 November 2017. The inauguration of the Israel Pavilion, spanning 400m², was attended by Israel Ministry of Tourism Director General, Amir Halevi, Israel's Ambassador to Britain, Mark Regev, and Director of the IGTO, UK & Ireland, Sharon Ehrlich Bershadsky. A number of organizations in the Israel tourism industry exhibited at the 37th WTM in London, which took place on 6-8 November 2017. The inauguration of the Israel Pavilion, spanning 400m², was attended by Israel Ministry of Tourism Director General, Amir Halevi, Israel’s Ambassador to Britain, Mark Regev, and Director of the IGTO, UK & Ireland, Sharon Ehrlich Bershadsky. This year’s Israel pavilion saw the participation of hoteliers, travel agents, aviation representatives and tourism associations, and offered a range of interactive visual features, a caricature illustrator, three-dimensional virtual glasses with views of sites around Israel, and tastes of the country. Over 5000 representatives across 182 countries presented at the fair, which was attended by over 30,000 professionals and a further 3,000 media visitors. This year’s Israel pavilion, influenced by the Two Cities One Break campaign, was designed in the style of Israeli markets, with a range of Middle Eastern cuisine, served by Chef Eran Tibi of Bala Baya, at a street food stall. Meetings were held with Norwegian airline, Thomas Cook, digital tourism agents including lastminute.com and On The Beach, and various campaigns were inaugurated alongside tourist wholesalers. Companies were presented with information as to the commercial potential of tourism to Israel and the opportunities offered by the Israel Ministry of Tourism in bringing tourists into the country.